The Southern District of New York filed federal criminal charges against Walters Thursday in connection with an insider trading investigation involving Dean Foods Company of Dallas. According to the government’s case, his connection to the company’s chairman, Thomas C. Davis, provided insider information. Davis faces 12 criminal investigations and has resigned from the enterprise. The SEC announced civil charges for insider trading against Walters and Davis. United States Attorney for Manhattan Preet Bharara indicated his office’s intention to fight insider trade deals. A federal appeals court set back progress on investigations in 2014 by overturning convictions of a duo of hedge fund officers. Bharara’s comments focused on the secretive nature of the Walters and Davis transactions. The government alleges that Davis gave privileged corporate information to Walters during a six-year period from 2008 to 2014. Confidential information included the financial outlook for Dean Foods as well as its earnings. A plan to spin off its White Wave subsidiary alerted Walters to valuable insider information. The government’s charging document indicates that Walters’ stock trades amounted to about $32 million in profits while avoiding losses of $11 million. Charges assert that Walters’ transactions equaled 30 percent or more of the trading volume for Dean Foods on certain days. Bharara said that the pair covered their illegal conduct by using a prepaid cellphone to discuss stock tips about the business. He alleges that they used secret words to prevent law enforcement from understanding references to Dean Foods. Walters has had previous encounters with law enforcement but has escaped entanglements. In 2011, he admitted on “Sixty Minutes” that he had never experienced a losing year in wagering millions of dollars on basketball and football games. The CBS program reported that Walters owned seven homes and a private jet worth $20 million. However, he was deeply in debt at the time. The Federal Deposit Insurance Corporation held an indebtedness of an estimated $15.25 million from a 2006 sale of the Stallion Mountain Golf Club by a company that he owned. His financial luck held when he won dismissal of three indictments that charged him with money laundering and conspiracy from 1986 to 1999. His current difficulties seem to show no signs of easing. Walters now faces 10 criminal counts, and the government has enlisted his former informant Davis to provide potentially damaging testimony against him. Davis allegedly committed perjury in attempts to prevent SEC investigators from discovering the insider scheme. Following the establishment of their relationship in the mid-1990s, Walters and Davis shared mutual interests in business, golf and other sports. Achieving insignificant success in ventures of their own, they gained from financial agreements in the stock market. With Walters’ help, Davis secured a short-term loan for $625,000. Walters later assumed the balance of the loan and relieved Davis from responsibility, according to government documents. They subsequently formed a limited liability company to have a vehicle for investing in a software company’s preferred shares. Walters has had a great run of luck, and he has beaten the government four times. Nevada law enforcement at the local, state and federal levels know his association with a group of handicappers who escaped a bookmaking charge in 1990, and they have not forgotten about him. Legislation that prevents “messenger betting” may have received inspiration from his practice of using agents as beards for his illegal activities. Had there been online sportsbooks open to USA players at the time, he would have never needed to use a messenger service. Succeeding for many years in avoiding criminal charges, Walters seems to have slim chances to do so again. About Billy Walters – You can read our full Billy Walters Bio here. It’s an interesting read for anyone who wants to learn how he got his start gambling and eventually became known as the worlds best sports bettor. 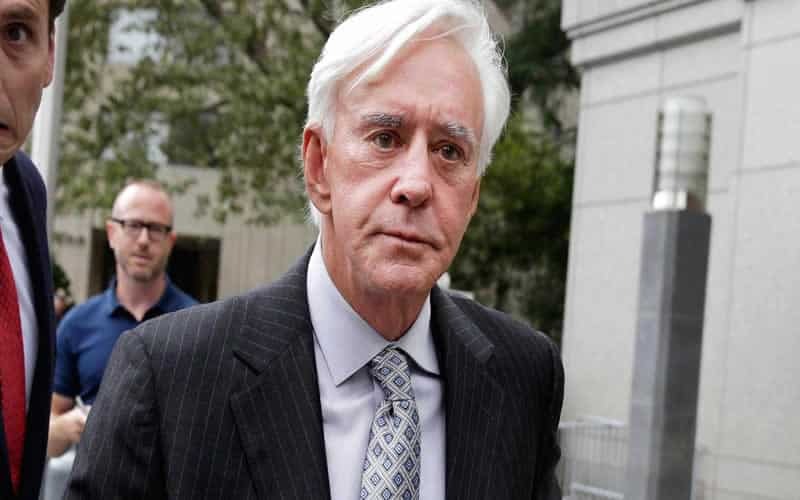 Read a more recent headline about Sentence Handed Down In Billy Walters Case and Phil Mickelson paying Bill Walters nearly $2 million for a gambling debt he owed. Mickelson is refusing to testify against Walters if called as a witness by the prosecution.